You can use DeepSee only in a specifically configured web application. See Setting Up the Web Application in the DeepSee Implementation Guide. Also, be sure to consult the online InterSystems Supported Platforms document for this release for information on system requirements. 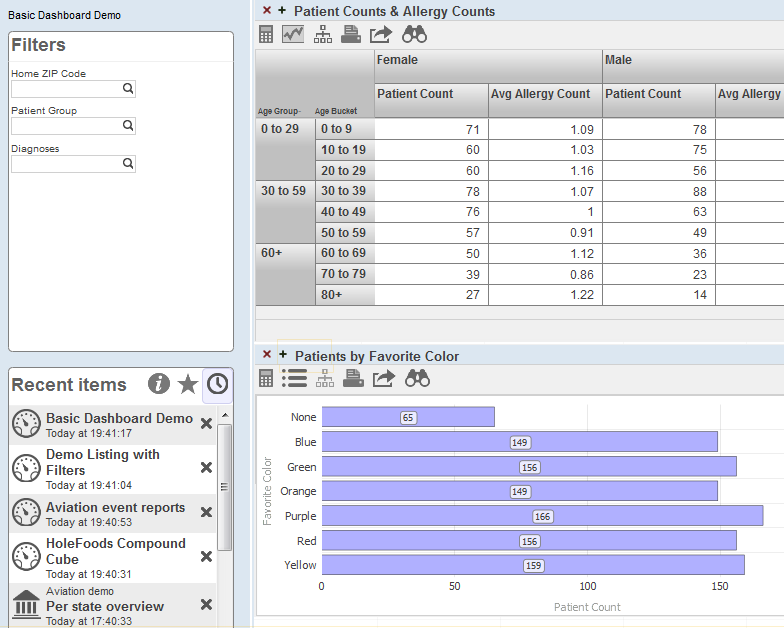 Interactive widgets that execute queries designed for specific user roles or for specific areas of your user interface. Controls such as drop-down lists and data choosers that enable users to modify these queries. Interactive drill options that enable users to view the displayed data in different ways. Options to export, print, and send alerts to other users. An option to launch the Mini Analyzer, which supports free-form analysis. Execute custom actions that are provided as buttons or other controls. In contrast to traditional BI systems that use static data warehouses, DeepSee is kept closely in synchronization with the live transactional data, as required for your business. The upper left displays the name of the dashboard and (if defined) its title. The highlighted icon indicates which worklist is currently displayed. You can select a different icon to display the corresponding worklist in this area instead. The Filters worklist is specific to the dashboard. You use this to filter the widgets shown on this dashboard. The right area contains one or more widgets. 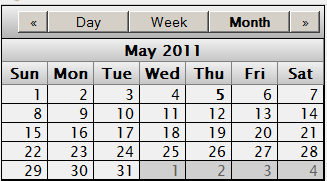 Each widget is a rectangular panel that displays data in some form. The following subsection describes the more common widgets. The preceding picture shows values in a speedometer. DeepSee supports several other forms of meters. A pivot table. Pivot tables are created in the Analyzer. A pivot table is a query based on a DeepSee cube, which is part of a DeepSee model. The following section discusses DeepSee models. A KPI (key performance indicator). A KPI is a more advanced query created by a programmer; it is also part of a DeepSee model. At least one cube definition. A cube describes ways that you can query a set of specific base elements (such as patients or transactions). A cube includes levels, which enable you to group records from the base set, and measures, which show aggregate values of those records. It also defines listings and other items. 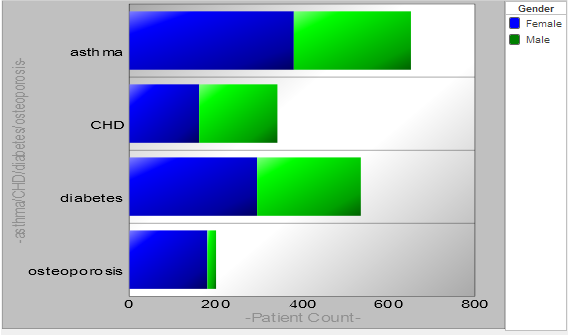 In this pivot table, the rows correspond to the members of the Patient Group level; each member is shown as one row. The data column displays the aggregate value of the Avg Test Score measure for each of these members; for this measure, the system computes the average value. Notice that the Avg Test Score is null for the None patient group. Any number of subject areas. A subject area is a subcube that enables users to focus on smaller sets of data without the need for multiple cubes. A subject area also enables you to customize captions and defaults of the cube. Any number of KPIs (key performance indicators). In DeepSee, a KPI is an interactive dataset that can be displayed on a dashboard. It uses a custom query created by a programmer. The query can use SQL, MDX (MultiDimensional Expressions, which is also generated by the Analyzer), or custom code. The KPI can also define actions, which a user can launch and which execute your custom code.